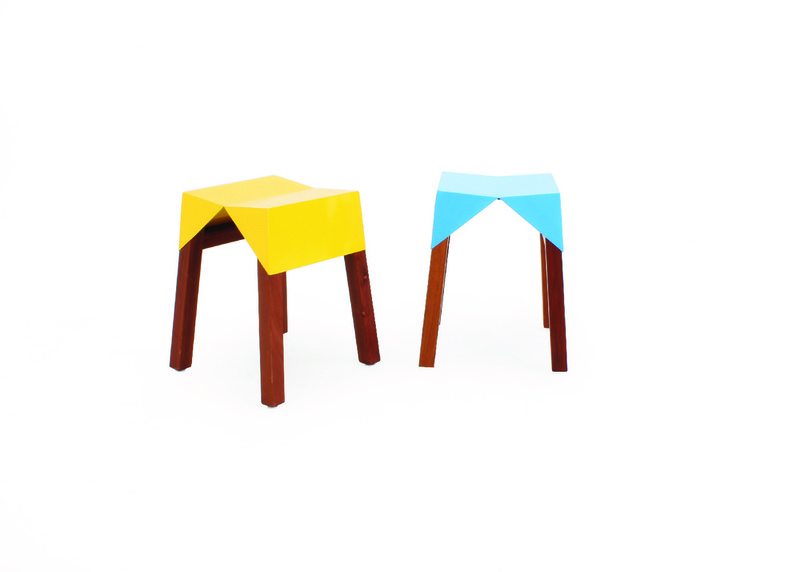 The Curi Stool is colorful, playful and suitable for indoor or outdoor use. Bent metal sheet, powder coated and finished with a high quality polyurethane paint, over a solid wood base. Available in either cedro macho (mahogany) or frijolillo (cumaru substitute), sustainably sourced in Nicaragua. Available in two sizes, regular dining height and counter height for kitchen dining.